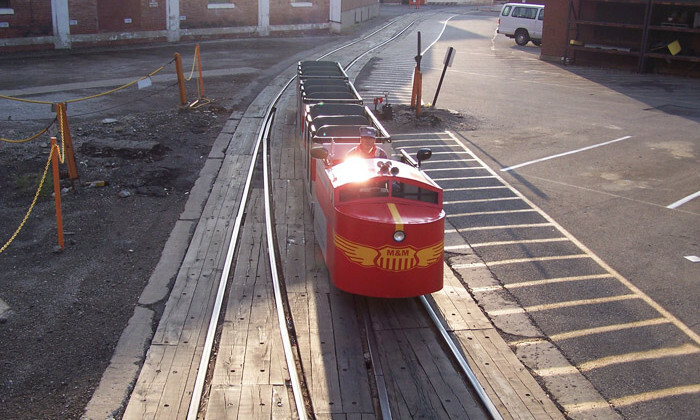 The M&M Railroad’s train is a one of a kind trackless, rubber tired train that reaches a maximum speed of 8 mph. Designed to look like a classic streamlined train of the mid 20th century, out trackless train always catches the eyes of onlookers. Because our train runs on gasoline, it is limited to outdoor use. The trackless train is street legal for operating in neighborhoods and on side roads. Make your event even more exciting by renting our train station. When booking a trackless train rental with the M&M Railroad, you can feel confident that you selected the best. We are a professional organization fully insured for any unforeseen accident or problem. We are also registered with various cities and townships and have papers on file to operate at their events.